A lead is a short sentence or paragraph placed between the headline and the article in newspapers, magazines and other publications providing a précis of the article and intended to stimulate reader interest. To distinguish it from the article and the headline, the lead is given a different font, text size and format, and placed in a suitable position. 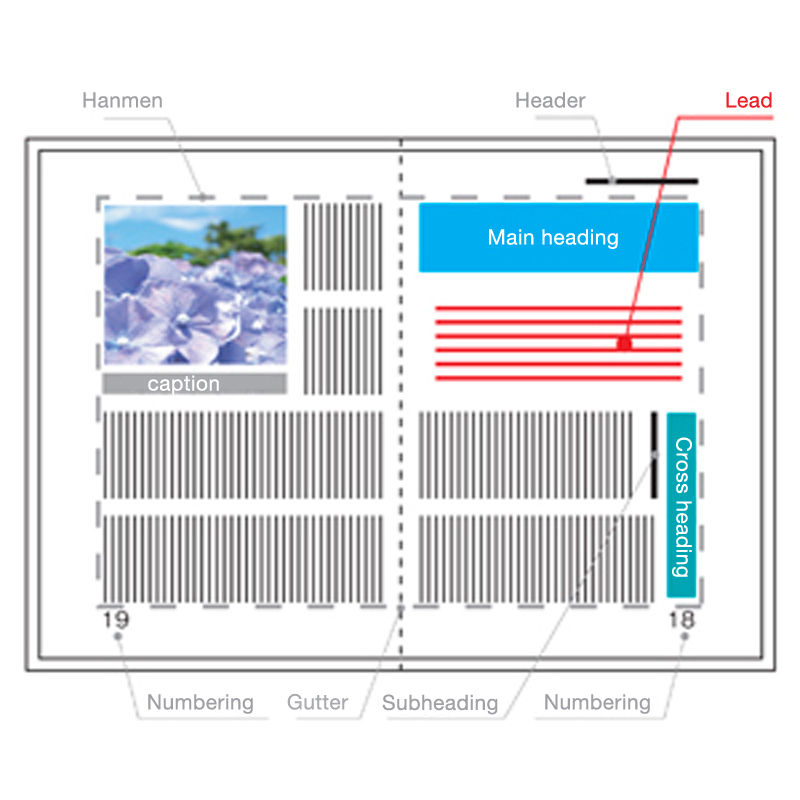 The concept of lead involves elements of style, related to the page layout, and elements of content, related to the structure of the account provided. Therefore, the nature of what is referred to as the lead differs greatly depending on the balance between these two elements. From the perspective of style, the preamble between the headline and the article is considered to be the lead, so the supplementary comments to the title forming the headline or a catch phrase, which do not, in fact, summarize the article, can sometimes be treated as a lead. Conversely, even when the lead basically has the same format as the article to follow, this could still serve as the lead in practical terms because it is an opening paragraph providing a summary of the article. Since the lead is inserted with editorial intent, while the actual article is written by the reporter, the lead is generally written by the editor.